It takes creative vision, perseverance, and business acumen to lead a creative agency in today’s ever-changing climate. 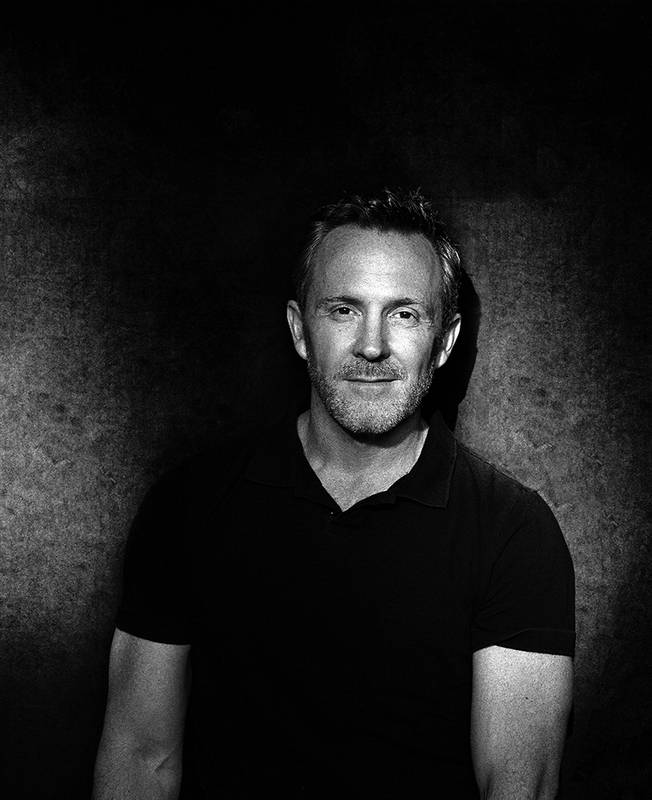 TREY LAIRD, founder, CEO and Chief Creative Officer of LAIRD + PARTNERS, has not only survived in it but thrived and, along the way won over clients such as Belstaff, Tommy Hilfiger, Karl Lagerfeld, Tom Ford, Tory Burch, Rag & Bone, Chloé, and Diane von Furstenberg, to name a few. 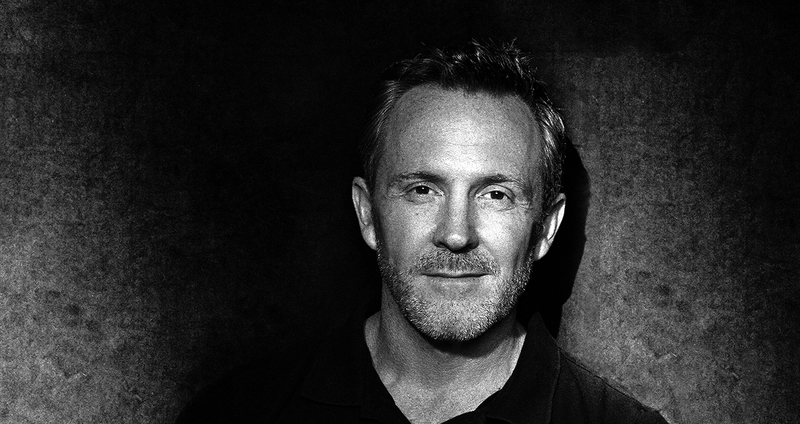 We sat with Trey to chat about how he started, his work with Donna Karan & GAP, the digital era, and what’s next for him and his company. Trey, thanks for chatting. So can you share with us how Laird + Partners came about? Well, I had been the creative director of Donna Karan throughout the 90’s and had been there a while. I really wanted to do my own thing and felt that there were great art directors that did amazing art direction in fashion, but there wasn’t really a lot of strategy built around it from the brand-marketing point of view. That part of the conceptual process didn’t necessarily enter in as much, but there was a beautiful visual style there. There were people out there that did a really good job with that. Then on the flipside, there are all these big, traditional agencies that also had some really great conceptual or strategic skills, but they were lacking the visual sophistication that is required in fashion, beauty, or related categories. I didn’t understand why you couldn’t have both. For me, it felt like those things had to be joined. I thought that would be an interesting way to start, so that’s what I did. That’s how we set out to build our teams and that’s what we’ve tried to accomplish over the past decade. I think we’ve done a pretty consistent job over lots of work with many clients. That’s kind of how it started; I talked to Donna about doing my own thing and she was very supportive. I met Mickey Drexler, who was the CEO of GAP, and he was very supportive, so with the good wishes from both of them, I decided to take a deep breath and do it. And that’s what I did in 2002. You did some pretty iconic campaigns for Donna then, including the Gary Oldman, Jeremy Irons, and Demi Moore and Bruce Willis work. They still resonate. So what was the first campaign you had the opportunity to work on with Mickey? The first campaign I did was a GAP campaign called “For Every Generation,” where we shot different generations of people wearing the same thing. 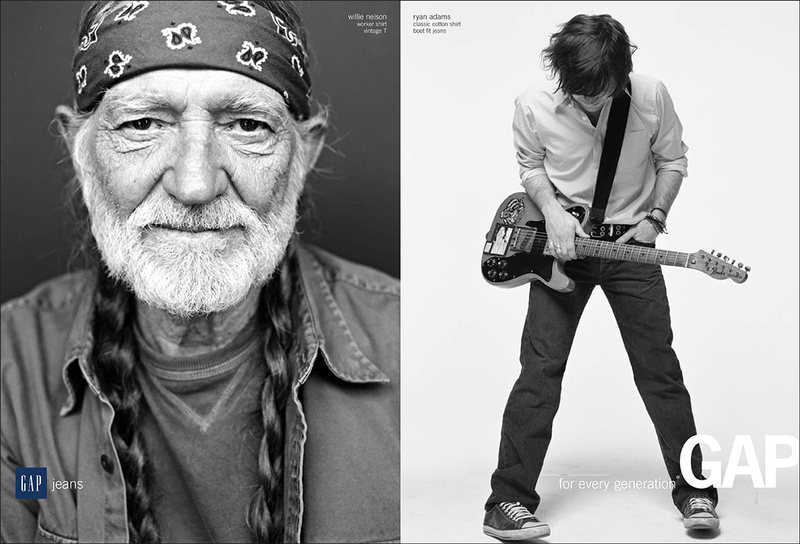 So we shot Willie Nelson and Ryan Adams, both in jean jackets. We had another amazing ad that was Sissy Spacek and Bridget Hall, both in white shirts. 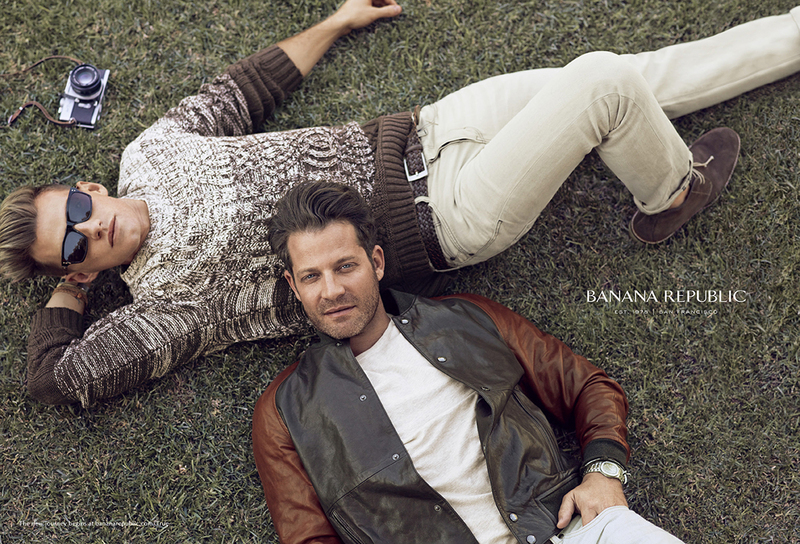 We did a big, 50-page magalog with the Vanity Fair Hollywood issue and it was a big, global campaign. They’d really, at that point in time, kind of lost focus of their iconic items which I thought were the best part of GAP: those great items that transcended status and became part of your life and were very adaptable to who you were as an individual. That was always the strong point of GAP and one of the things that gave it so much style. So we tried to do that and give it a new twist with the generations. That was the first thing Mickey and I worked on together. As I recall, you moved into TV spots fairly quickly, right? We started television from day one. There were really great TV spots that went along with all of that. We had a Willie TV spot… We actually had a lot of them that season. How was that transition? Had you worked in television prior to that? I had. I’d done a lot of fragrance commercials and videos and different film projects for shows. I mean, I hadn’t done a lot of traditional 30-second broadcast TV commercials, and at that point, that was the very, very beginning of when people were starting to experiment digitally. It was actually a perfect time for me to take all that thinking and figure out how to take it to the next level with film and a moving image. Having that experience at that stage has been so beneficial now, when everything we do has some sort of moving image or digital component. So yeah, it started from day one at the agency and it’s just been a great progression. There are so many things that we’ve worked on over the years. 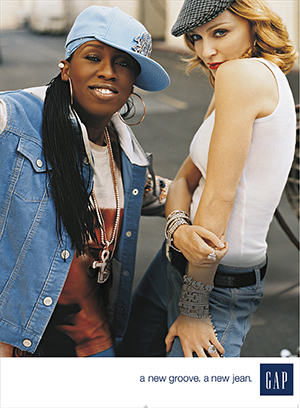 With GAP, it started with that campaign, but then it went into the crazy stripe things and all the holiday campaigns that happened, and then the Audrey Hepburn campaign for the skinny black pants where we used the original Funny Face footage, to the Missy Elliot-Madonna collaboration, the Sarah Jessica Parker work… There were a lot of things over the years – and that was just GAP. Then, more recently, all the Hilfiger work with all the Hilfiger Family TV spots that have been around the past few years. There have been a lot of things over the years that I’ve been very, very proud of. 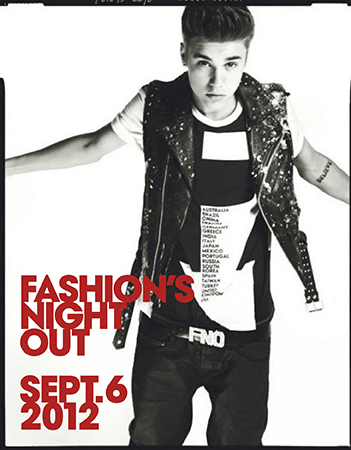 They’ve been exciting to be a part of and see how that side of it can help a brand communicate what they’re all about. It sounds like you were primed for the digital age. How has digital impacted you? What’s really great is that when we started our agency, it was right at the time that digital was really starting to gain momentum, so it’s become, each year, more and more a part of what we do for clients. I think the biggest shift, in terms of just the landscape, but also specifically here at our agency, is that at the beginning it felt very much like this “other thing”: You do your campaign and then you have a digital component. You might be developing it with a team and then there was a separate digital team, or maybe for some clients you’d have the lead creative group and also have a digital agency. So for the first several years, whether you did it or you worked with someone else, I found it was very much this “other thing” that people were trying to figure out. I think the big revolution here in the past several years, and in a lot of places, has been the breaking down of the mediums and really understanding that a great brand has to communicate across a lot of different mediums today. It’s very much about the idea, concept and strategy, and really trying to figure out what’s the right message for that brand. How can this message show up across different mediums? Our teams are all integrated now. It’s not like we have a totally separate digital team and a non-digital team. They’re all one team and they’re responsible for working across multiple mediums. And certainly there are specialists who can bring certain expertise to the table, but my point is that it’s not like there’s an isolated office or separate thing. Everything’s digital so there’s almost no campaign that we do that doesn’t have some sort of social media or moving image or digital activation or some sort of digital component. 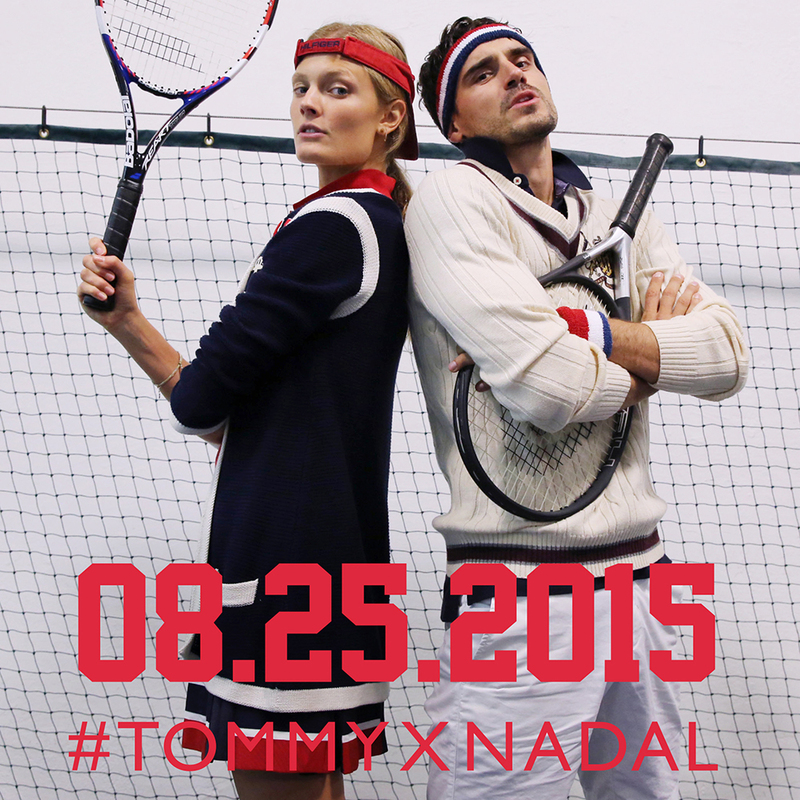 Like the recent Nadal for Tommy Hilfiger campaign? Exactly! This launch has been a perfect example of all different channels being fully engaged and working in tandem. We had this crazy idea to do a launch tennis event right in the middle of NYC – but this being Tommy and with the focus on underwear… we gave it an extra little twist with the Strip Tennis idea! We used every element of the launch as social media content opportunities. From the “Rafa challenge/Trash talk” Instagram teasers that all the models posted, to the actual event itself on Periscope, to the campaign countdown teasers… every element was treated as a storytelling opportunity. All this digital push combined with broadcast TV, global outdoor, and accompanying digital & print ads all came together to make a pretty compelling launch! The results so far have been pretty phenomenal and we have had a great time doing it. It was an amazing collaboration between everyone involved, both agency and in-house teams. You mentioned earlier that you had a foundation in strategy. Can you elaborate a little more on the strategic aspect of what you do and why it’s important? A lot of times people ask me, “Why is it that none of the major global or mainstream or traditional agencies have been able to break into fashion?” I think they don’t necessarily understand the nuances of the visual sophistication that’s required. A lot of times for those types of agencies, they think it’s about just hiring a “fashion photographer” or a “hot model” (laughs) and making a fashion picture. In fashion it’s so much more about the details and the execution. In a way, I think that’s the entry point. For brands, especially now where there are so many competing for your attention, everybody has to be true to what they stand for, their codes and their DNA. For a brand to keep a message consistent and carry that message over multiple mediums is a tall order. 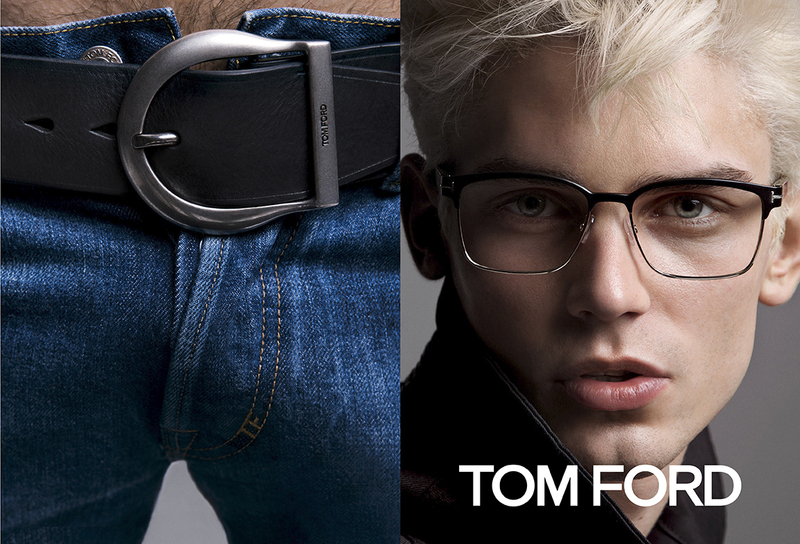 For example, over the past few years Tommy Hilfiger has gone through a big renaissance. The first six months when we worked with Tommy Hilfiger, all we worked on was positioning work, strategy work, and brand DNA before we ever shot a picture or did a TV commercial or did anything advertising-wise. For Tommy, it was all about bringing an irreverent twist to a traditional clothing category. A lot of times, classic men’s and women’s clothing brands – and we all know who they are – can be great, but they can be quite serious and a little bit stuffy. I think where Tommy shines is when he’s like the Prince Harry of that category, you know. He likes to have a little bit of fun, doesn’t take it too seriously, there’s always a little bit of a wink, always a twist involved, and I don’t know if this is 100% true, but I would say that Tommy is the person who coined that term: Classics with a twist or preppy with a twist. Way back in the 80s, Tommy was one of the first people that said that. So what we really try to do is make that sort of a brand mantra. Everything that a brand does, whether it’s a window, a fashion show, PR event, a digital launch, an ad campaign, the oxford shirt with the button hole, the jeans pocket patch, everything has to have some little touch, some little twist that is rooted in classic preppy DNA that is Tommy and all-American, but at the same time has some sort of irreverence. I think to do that sort of work and to inspire an organization that has thousands of employees and multiple billion dollars of sales globally, and to get them on a track and focused and consistent, requires a lot of strategic thinking and a lot of discipline. That’s where we excel and shine. We do that for a lot of different types of brands across a lot of different types of styles. That’s a really good example. And that’s something we take very seriously, as opposed to saying ‘this is our style, this is what we like’. ‘We like to work with these photographers, we like everything in black and white, we like this kind of type face and we’ll do our version of that for you’- that’s a different philosophy. That might be great for other people, but that’s not what we do. I think being a chameleon and being able to come in and say okay, well Tom Ford has one set of values and one sensibility and one look and feel, and Tory Burch has a totally different sensibility and different sense of values and different tone of voice, and to be able to work with those companies to help them be the best they can be and the clearest they can be and the most powerful communicators they can be, requires a certain strength. Can we talk about change, as I think you understand strategically the value of change? Not change in the DNA per se, but at times a brand is required to change and evolve with the times. You’ve been at the pivot point for brands, so how do you know when it’s time to change? I think we’re in a business that’s all about newness and being aware of that is sort of the first thing. In many ways it’s about striking the balance between evolution and consistency. One person that’s such a master of that to me is Karl Lagerfeld. What he does for all of his work, but especially for Chanel, where I think he is at the top of his game, is he is always going to surprise you. He always has a new thought up his sleeve. His shows are provocative and culturally thought through. He is always responding to something that’s going on in the world that maybe wasn’t going on the year before, but feels right for the times we’re living in. At the same time, he has such a mastery of a consistent DNA and a consistent identity, and codes that are owned by Chanel. It’s a requirement now in terms of how to embrace change but at the same time be true to who you are. That’s where we really try to work with brands. We help them find their sweet spot between those two worlds of embracing who they are and change. It can’t all be about change, change, change, change, change, unless you make that your DNA. A good example of that is Marc Jacobs – he’s brilliant and that’s his thing. He’s been so true to that being his thing that it’s okay that his work is so wildly different because he’s being true to who he is. That’s his consistency in a way. For the most part, whatever your take on it, you have to be true to who you are. We aren’t in a static business and you’ve got to always engage the customer and evolve. You always have to surprise and delight and seduce somebody. Most of the things we work on in our industry are not things that anybody really needs. It’s got to be something somebody has to want. It’s a very different type of industry that requires a different set of skills. So anyway, that’s how I see it and how we work with clients and what we try to build. Clearly, you have a passion for our field. What is it that’s outside our industry that engages you personally? Wow, there’s a lot. Probably the biggest thing is travel. I really love seeing the world and I find that’s probably my biggest inspiration: going to a place I haven’t been before and seeing something new. It may sound cliché, even as I’m saying it, I’m rolling my eyes, but honestly that’s my true answer. I went to Peru last year with my family and it blew my mind: the people, the landscape, the history, the food – just everything about it. I’ve been to Africa four times and each time I go to a new part and there’s more to see. In that way, taking advantage of the fact that the world’s getting smaller, for me as a creative person, that’s the most inspiring thing. Certainly the art world is another big source of inspiration. It’s something I really love and something I’m involved with – my family and I. That’s something that’s become a big part of my life and a creative outlet, a source of inspiration. I really want to take content creation to a whole new level. I think more and more brands will continue to create original content in all sorts of ways that bring their brand message to life across platforms. That’s the exciting challenge now… how to tap into the power of all these different channels and fully unleash the brand story. We are already doing this now everyday for so many clients – but I honestly think we haven’t even scratched the surface of what we can do. It’s a transformative time and I find it very inspiring! Sounds perfect! Thanks for taking the time to chat with us! Yeah, I really appreciate it and I’ve really been enjoying reading what you’re doing! And we’ve enjoyed watching what you are doing!